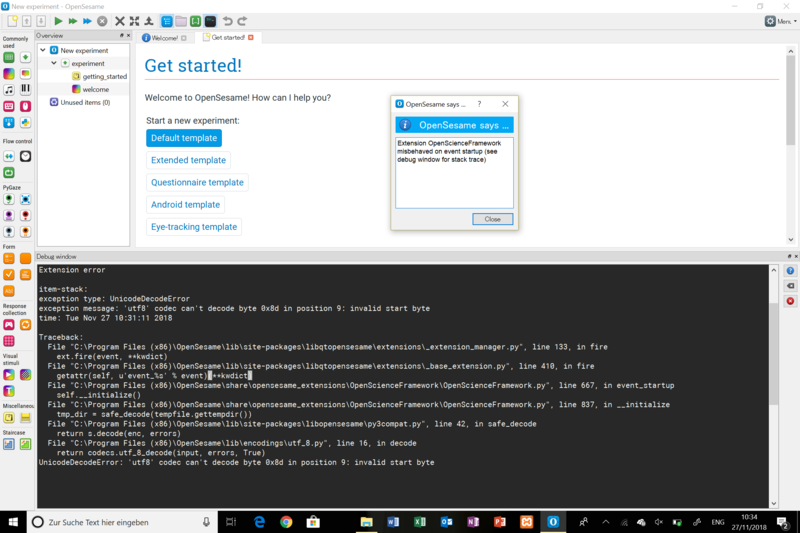 I am using OpenSesame with some students and everything works fine besides one student not beeing able to have a proper installation even so using the same installation files. Either the installation process is aborted or the installation does not work properly (for example saving is not possible). When starting OpensSesame the error message occurs that the OpenScience Framework misbheaved. This sounds like a firewall issue. Openseame uses a few plugins that require connection to the internet.